A ship loaded with… And my answer to this childish game was always: POTATOES!!! But not in this case! 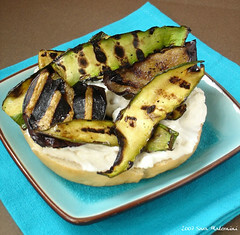 Enjoy, have a good Easter and Easter Monday (those bagels are of course perfect for Easter Monday picnic!!!)! You have me curious now.. how did you like the bagels? Did they taste similar to the one you bought at the expensive shop? Or completely different? I’m glad the recipe you read said to boil the bagels before baking them.. that’s the only way for a good crispy on the outside, chewy on the inside bagel! Fabulous! 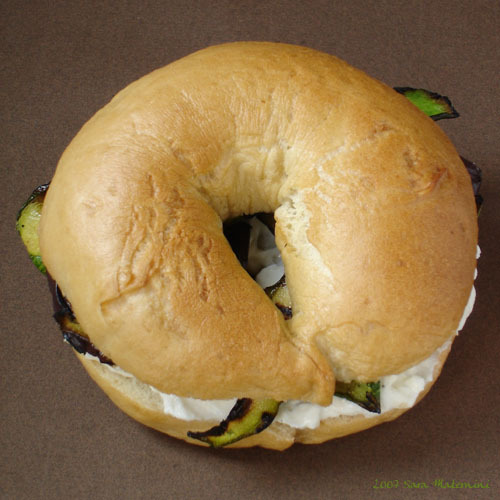 I live in Rome, but I’m born and raised in NY – home of the bagel. Growing up, I had at least one bagel a day, more on Sundays. For breakfast toasted with butter or cold with cream cheese and grape jelly. For lunch, you can make any kind of sandwich – really anything! Your suggestion here looks good… mmm, zucchini.